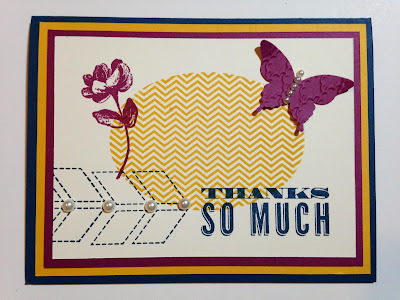 I am so excited to share this card with you because guess what? It's on SALE! 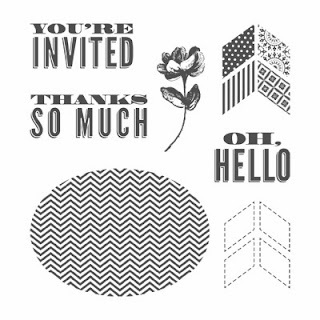 Yes, I have used another stamp set that is on sale for 25% off until Monday night! This one is called Oh' Hello and you can order it in on my online store! 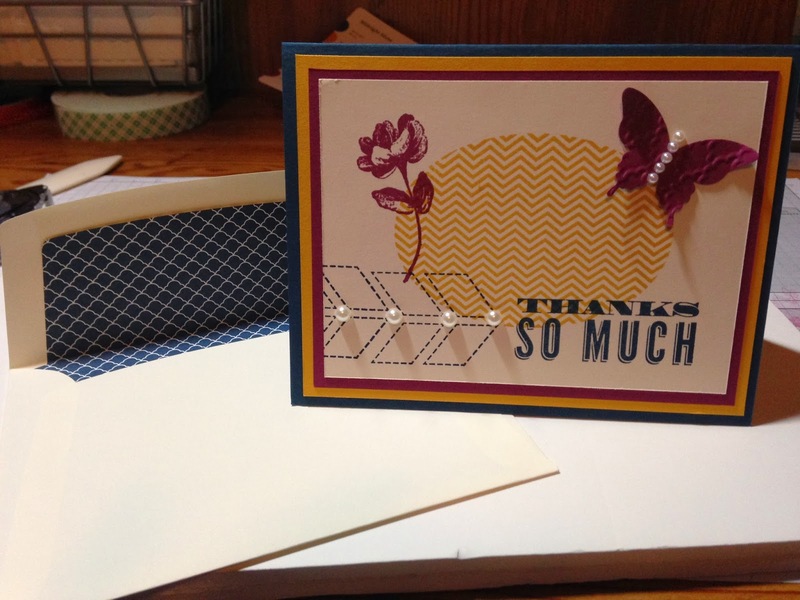 I called it flat, because well, it's relatively flat and won't cost extra to send! Do you love this butterfly? 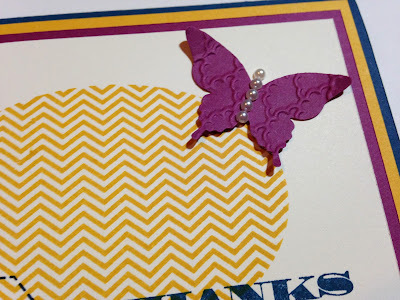 I embossed it using the Fancy Fan Embossing Folder (#127751/ $7.95) and then punched out using the Elegant Butterfly Punch (#127526/ $15.95). Do you love the colors? You can thank the Color Coach (my favorite tool!) for the combination of: Midnight Muse, Crushed Curry and Rich Razzleberry. What a great pairing of deep colors for fall (without being in-your-face fall). 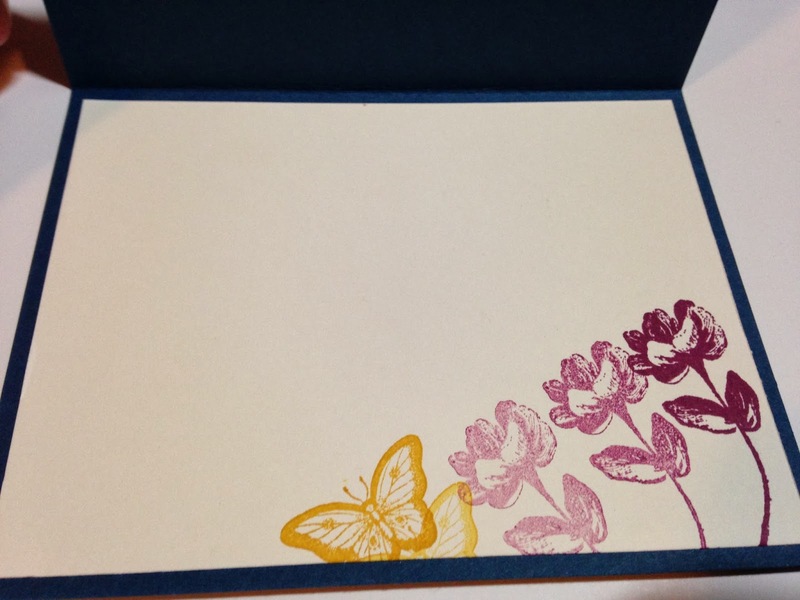 This is the inside of the card and I literally stamped the flower three times in a row without re-inking. Yes, those are three, count them, THREE shades of Rich Razzleberry! How much do you love that? The butterfly is from the Papillon Potpourri Stamp Set (Clear Mount #123759/ $14.95). Thanks for following me! 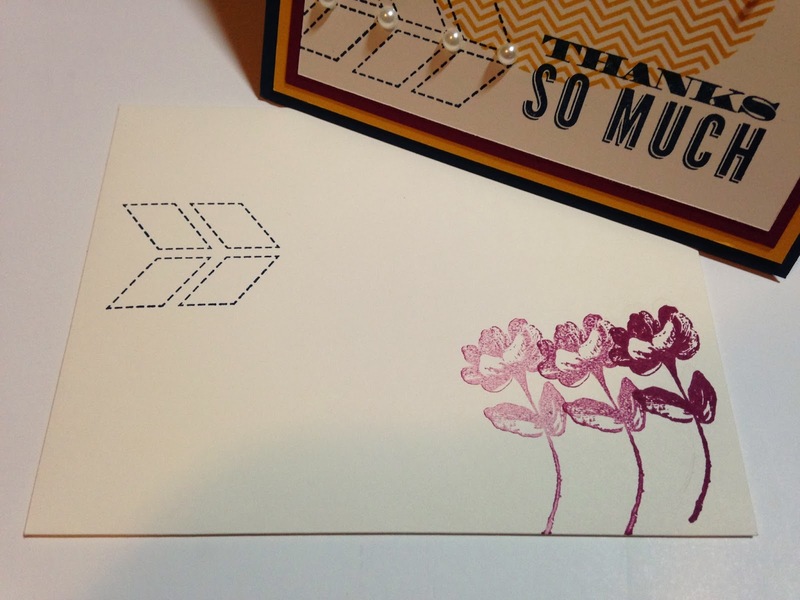 Come back tomorrow for more inspiration using the 25% off stamp sets! I can't wait to share what I have for you! WOWZERS! I love it! What a keeper and a true beauty!!! Hi! I saw your comment on Susan Itell's blog and I had to see your card! Wowzers like Susan said! This is so fun! I love the pearls on there. Great job. I don't have a blog and right now don't even have a camera to take a photo of any of my cards! I love to see what others do! Thanks for linking yours to Susan's blog.